Peel your bananas and cut them into three pieces. Pierce each piece on a skewer or popsicle stick. Melt your chocolate in a glass bowl in the microwave. Be very careful to do this in 15-20 second intervals, stirring the chocolate as you go. This will help prevent burning. 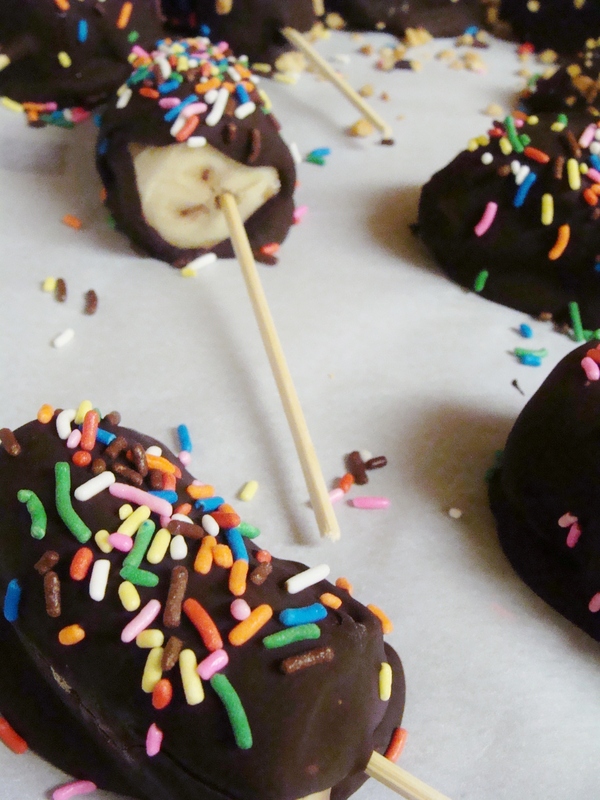 Dip each banana in the melted chocolate, turning slowly to cover. Place dipped banana on the parchment-lined cookie sheet. Sprinkle with sprinkles (ha!) and/or some chopped nuts. Pop the tray in the freezer until the chocolate sets, then enjoy! § One Response to chocolate-covered banana popsicles. 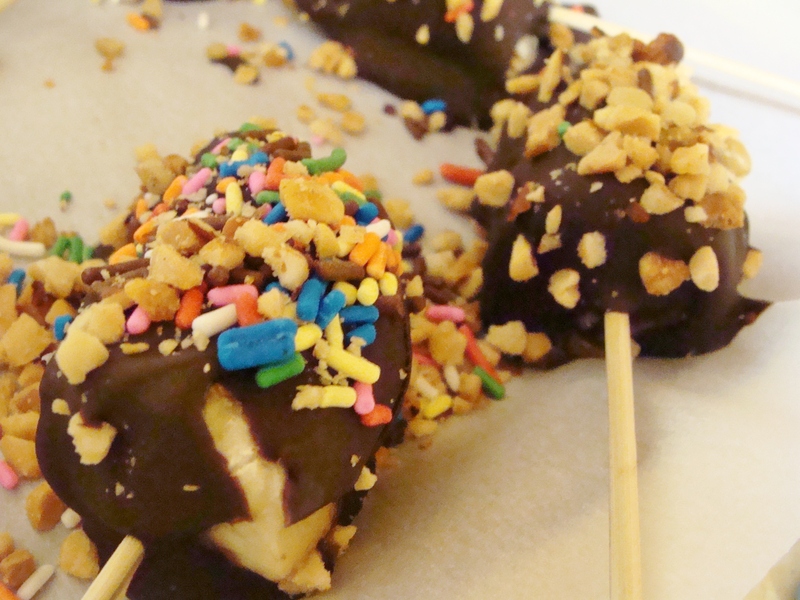 You are currently reading chocolate-covered banana popsicles. at The Cheesy Kitchen.